We’re not sure when or why it happened, but in recent years, the song “Africa” by the 80s rock group Toto has had an impressive reprisal. You could even argue that it’s one of the Internets favorite songs. While the song reached No. 1 on the Billboard Hot 100 upon its release in 1981, after its moment in the limelight, it seemed to fade away like most other one-hit wonders. Nevertheless, it’s back now in full force and is currently playing on an endless loop in you guessed it, the Namib Desert in Africa. 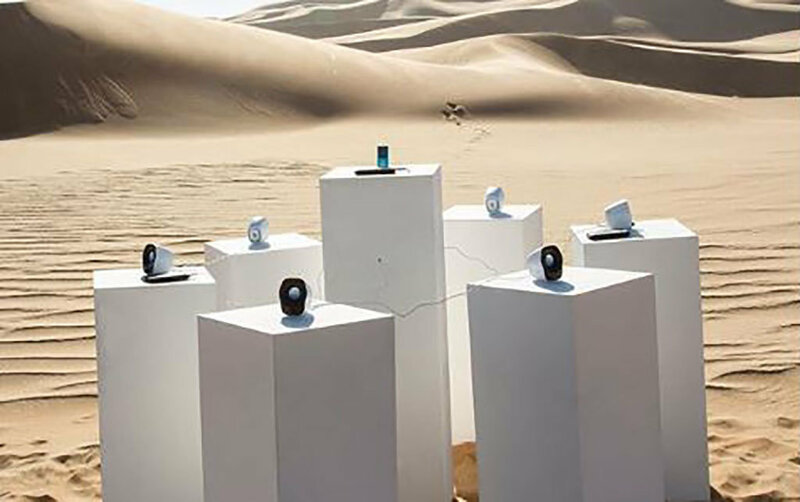 Titled “Africa Forever,” it is an art installation and the brainchild of German artist Max Siedentopf.